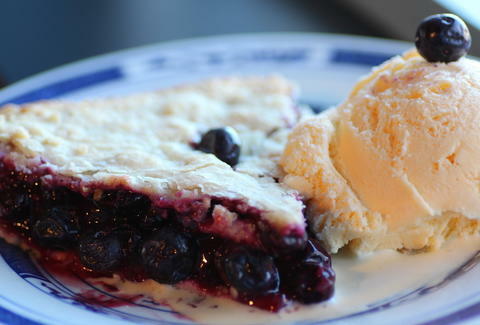 Egg & Pie is not on the menu at Egg & Pie, so that's a pretty good start. From a fella who cut his teeth on the greasy griddle of St. Paul's Mickey's on West 7th, Egg & Pie's a hearty throwback to the town diners of yesteryear, where things like "soy" and "low-fat" were actually bad for you, 'cause asking for them would likely get you smacked. 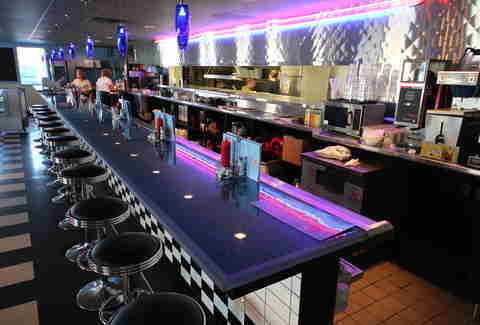 And before it was a shiny ode to '50s Americana, the space had been abandoned for eight years -- coincidentally the same amount of time it'll take you to work off the calories you put on here. 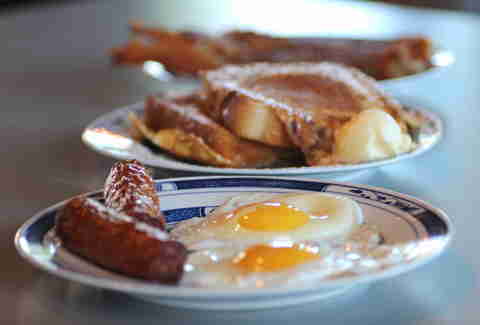 Like any good diner should, Egg's breakfast runs all day with super-hearty portions of corned beef hash, country-fried steak, and biscuits/ gravy. And then if that's not enough, this three-plate "Chuckwagon Breakfast" has two eggs, two massive sausage links, two strips of bacon, a plate of hashbrowns, and two pieces of French toast. 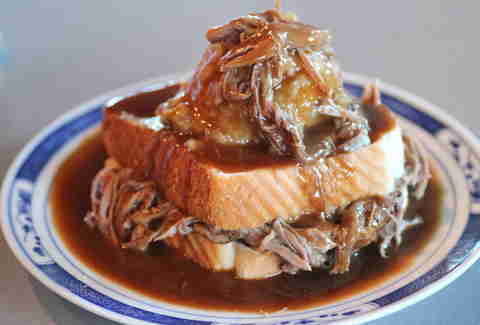 The hot roast beef sandwich is less of a sandwich and more of an appetizer to cardiac arrest, served with mashed taters and gravy. 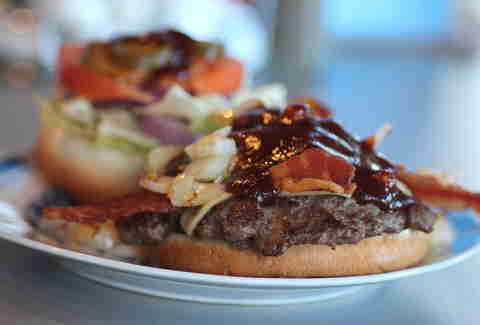 This Oklahoma BBQ Bacon Burger with chipotle mayo is one of an arsenal of $6-or-less burgers that also includes the sour cream and 'shroom Bistro, and the super-spicy jalapeno/ pepper jack/ chipotle mayo Arizona, piled so high with toppings that even Nic Cage would have trouble raising it. 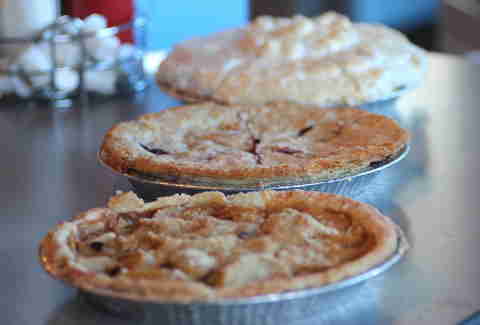 And of course, the pies: all made from scratch, in all the flavors you know and love, so you might as well get started now.